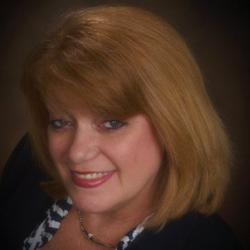 Vehicle Inspection Systems is pleased to announce the newest member to the sales team, Lori Clouser. Lori will be working in her new role as National Sales Representative and will focus on internal sales. I look forward to expanding new horizons in the company sales structure and use my experience in the automotive industry to help the company continue to grow in the transportation industry. Vehicle Inspection Systems is pleased to announce the addition of Lori Clouser to the company’s sales team. Lori joins VIS with an extensive background in sales including nine years’ experience selling to the automotive industry. Lori will work as the new National Sales Representative. Lori’s focus in her role as National Sales Representative is to continue to enhance the company growth through proactive sales and account management. “I am very excited to be a part of the Vehicle Inspection Systems team; I look forward to expanding new horizons in the company sales structure and use my experience in the automotive industry to help the company continue to grow in the transportation industry,” says Lori. Lori is based out of VIS’ Headquarters in Orlando, FL. She can be contacted at 407-450-7056 or via email at lclouser(at)vischeck(dot)net.